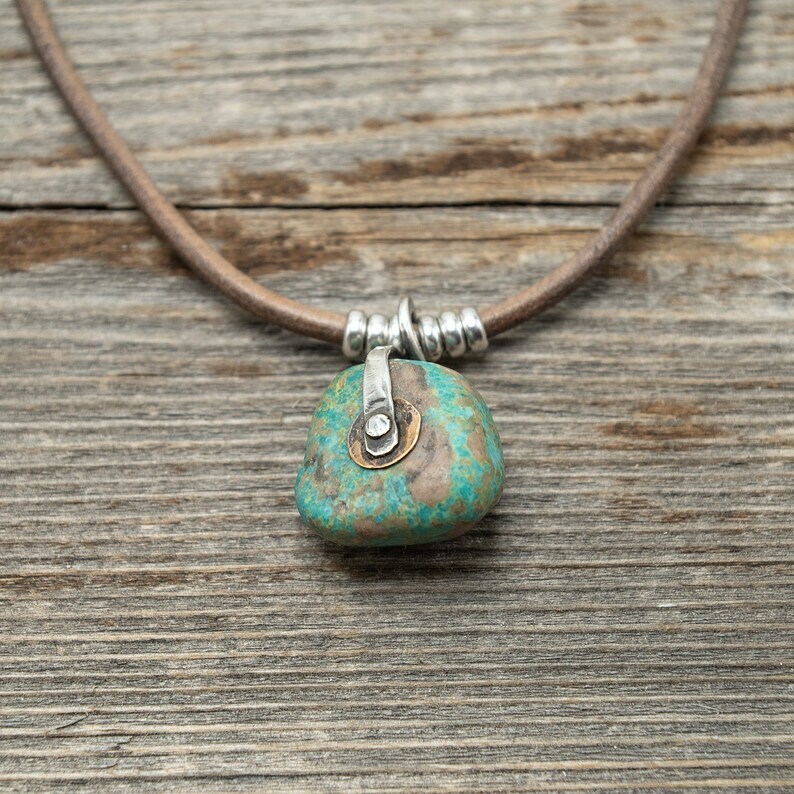 This raw turquoise stone pendant has an organic feel to it and is very tactile. 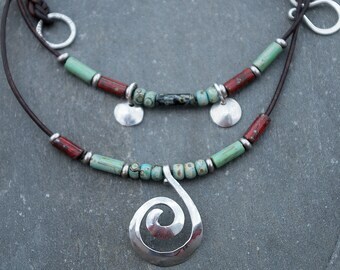 I riveted sterling silver and bronze together to hold the turquoise stone in place and added some Hill Tribe beads on 3mm leather. You may choose your length and color of leather. 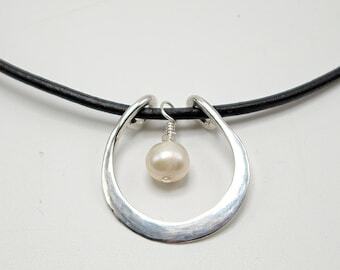 This necklace will come with a sterling silver lobster clasp closure. 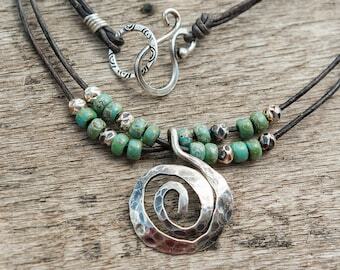 Every turquoise stone I received in this batch is distinctively different. 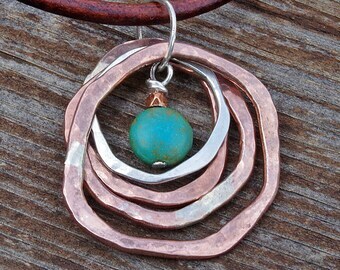 This one has a mix of browns, greens and bright turquoise blue. 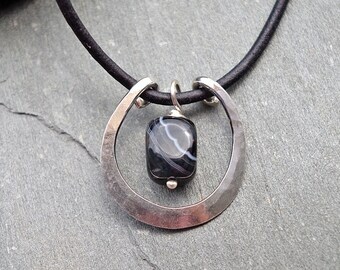 One side of the stone is flat and the other more round. 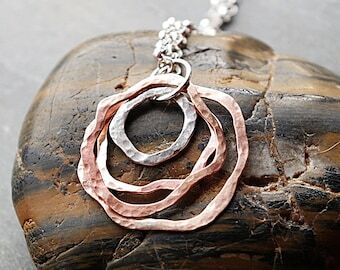 For each of these stones, the metal work has to be very organic in how it follows the curves of the stone and to achieve the best hanging orientation possible. 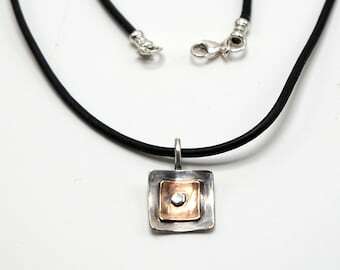 I have riveted sterling silver and bronze The photo above will be the actual pendant you receive. 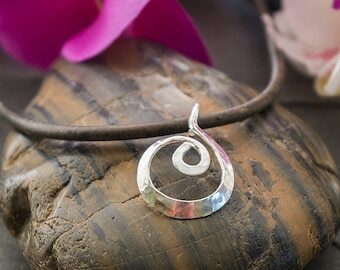 The necklace shown in the photos is on a distressed gray 3mm leather cord. 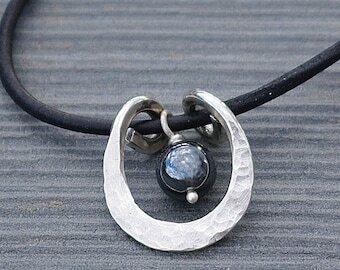 This stone is a half inch in depth and about 1 1/8" long with the bail included. No two stones are alike. 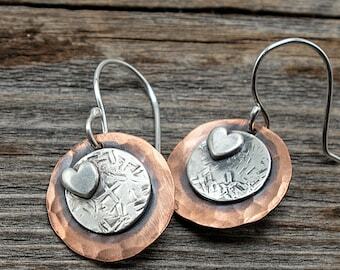 I am in love with these stones, they feel so organic and natural.